April | 2013 | Go Chapel Hill! Are you a cycling enthusiast? Maybe you haven’t ridden a bike in a while but want to. Perhaps you enjoy riding only on greenways or trails? Do you ride your bike to work or school? Do your kids ride a bike? Are you concerned about transportation issues? If you answered yes, then you’ll want to come to “Bike to the Future,” a community forum for the Chapel Hill Bike Plan set for 6 to 9 p.m. Thursday, May 9, at the Chapel Hill Public Library, 100 Library Drive. The Town of Chapel Hill planning process is one of many public outreach opportunities of DESIGN Chapel Hill 2020, the title given to the implementation phase of the community’s new comprehensive plan. “Connected Community” (including Chapel Hill Bike Plan) is one of the Big Idea initiatives that embody the essence of the Chapel Hill 2020 goals. When completed, the Chapel Hill Bike Plan will provide a “how-to-guide” for making Chapel Hill a place where more people can safely ride their bikes to more places in the community. The Council is committed to building a more connected, bikeable community, as stated in Chapel Hill 2020 Plan. “We will have an opportunity in creating this plan to look at our streets and policies to see what’s working – and what could work better,” said Garrett Davis, a Town of Chapel Hill transportation planner. During the Chapel Hill 2020 planning process, residents expressed that they want more facilities and street design features that promote safe bicycling. People said there should be improved connectivity between important destinations and that bicycling can become part of a healthy active lifestyle. The Community Survey of 2011 showed that 5.2 percent of residents ride a bicycle and that 64 percent of residents felt that riding a bicycle was safe in Chapel Hill. “We think that number should be higher, and this plan is going to show us what steps the Town can take to make that happen” said David Bonk, transportation planning manager for the Town of Chapel Hill. A steering committee will meet over the next year to guide the plan, and there will be many opportunities for the community to contribute. The committee will work closely with staff and Bill Schultheiss of Toole Design Group , the lead consultant. A final plan is expected to be presented to the Council in November 2013. 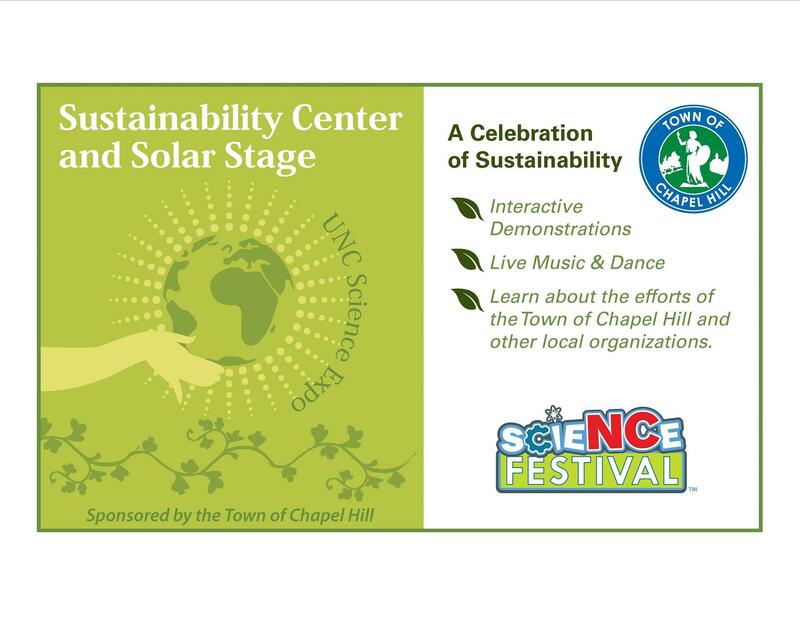 Go Chapel Hill – Carrboro CycleFest 2013! 25-Apr	7pm	Spoke ‘n Revolutions Youth Cycling and The ReCYCLEry are proud to be the official Chapel Hill host of The Wild and Scenic Environmental Film Festival. The films combine beautiful cinematography and first-rate storytelling to inform, inspire and ignite solutions that ensure our earth and communities thrive for future generations. Festival-goers can expect to see award winning films about nature, conservation, energy, adventure, kayaking, wildlife, fracking and more. 8-May	All day	Students are encouraged to walk or bike to school on Wednesday, May 8th to improve the quality of the air, experience a more fit way to arrive at school each day and to feel great as you arrive at school! 10-May	11 – 2pm	UNC’s Commuter Alternative Program (CAP) will set up tables with games, prizes, and snacks outside the Health Sciences Library to promote the upcoming Bike to Work Week. Current bike commuters will be encouraged to map their routes and sign up as mentors for other potential bike commuters, as well as congregate with other cyclists and exchange ideas. 11-May	8:30 – Noon	Come to University Mall Farmer’s Market and learn how to quickly and easily mount a bike onto the front of any bus in the Greater Triangle area. Take a quick tour of a Fare Free Chapel Hill Transit Bus. 11-May	8:30 – Noon	Come to Carrboro’s Farmers Market and learn how to quickly and easily mount a bike onto the front of any bus in the Greater Triangle area. Take a quick tour of a Fare Free Chapel Hill Transit Bus. 14-May	7am – 10am	Come for breakfast with other cyclists and have free bike checks from local bike shops. Enjoy the giveaways, informational handouts, cycle discussion all while enjoying biscuits from Neil’s Deli! Enter multiple drawings during the morning’s events! 15-May	All Day	All Chapel Hill – Carrboro Bicycle Shoppes are offering bike inspections all day long at no charge AND no appointment required (though you might have to wait when you arrive)! 17-May	5:30 – Until	Serious Cyclists and Families come and take the 8 mile cruiser ride through Chapel Hill and Carrboro. Shorter route designed for families. Bicycle crafts, music and competitions. BE SURE TO DRESS OUT IN YOUR WILDEST CYCLING CLOTHES– (prize to the best in show)!!! April 13 at Old Well – Get Your Green-On!! !